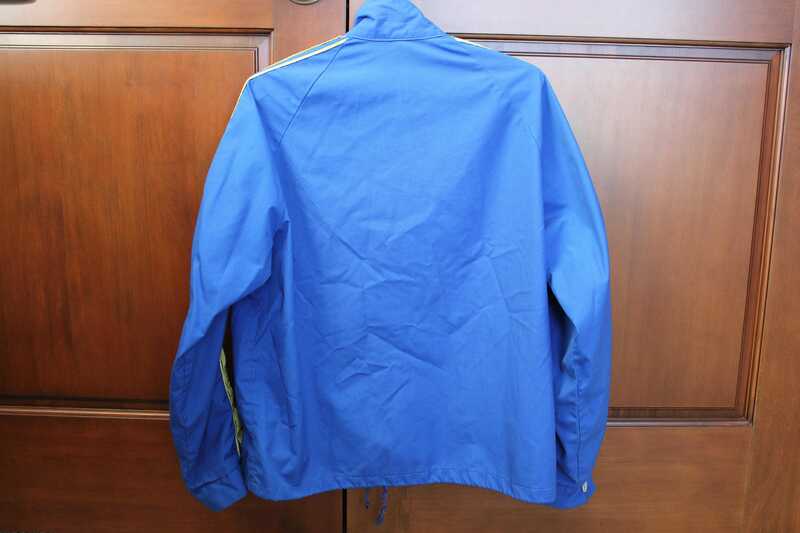 This is a vintage Swingster Michelin Tire jacket in a mens size Large. 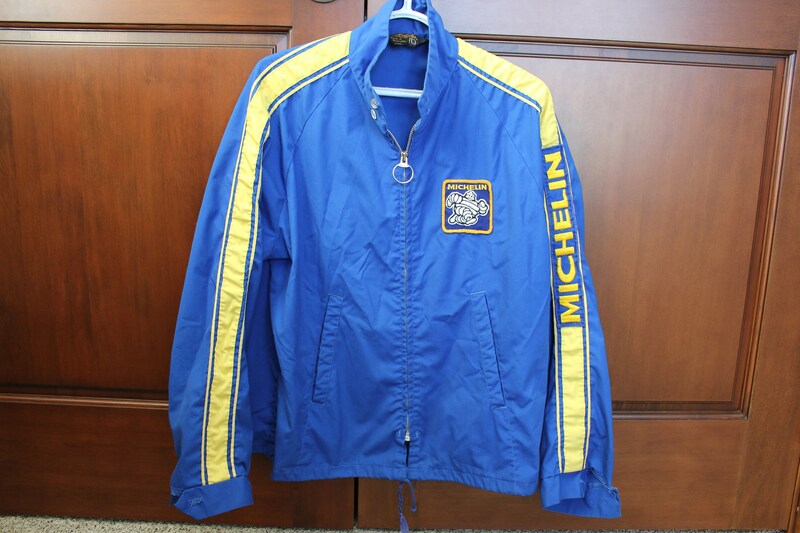 It features a Michelin Man patch on the front and yellow racing stripe on the sleeves with embroidered Michelin patch on the left arm. 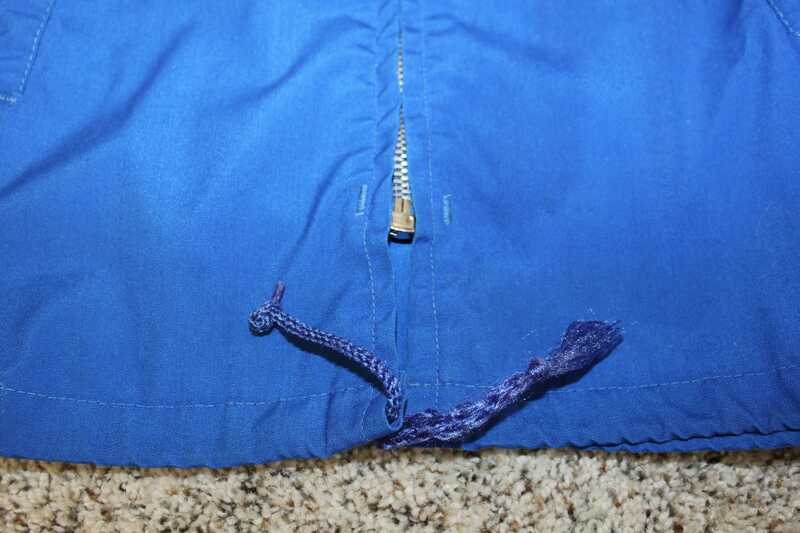 The jacket is unlined, zips up the front, has a two button collar and cuff detail, and a tie bottom. Length from back base of neck - 26"
Condition is generally good for the age. 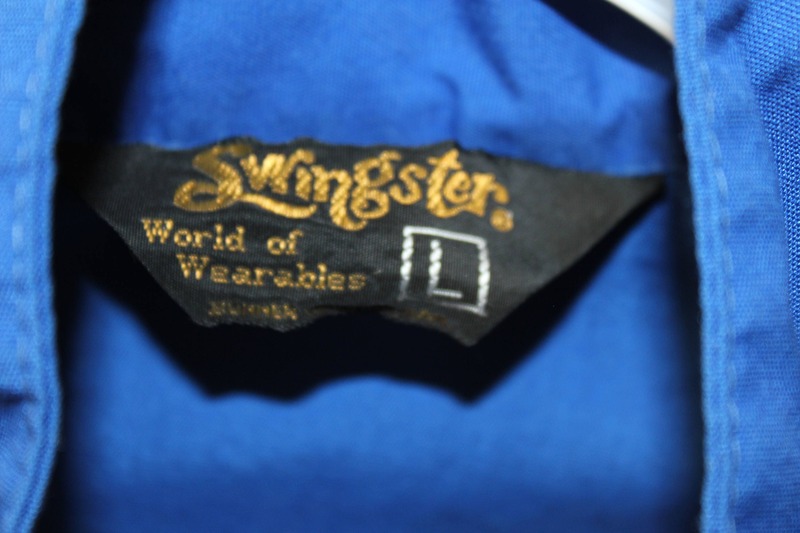 One of the bottom ties is fraying. 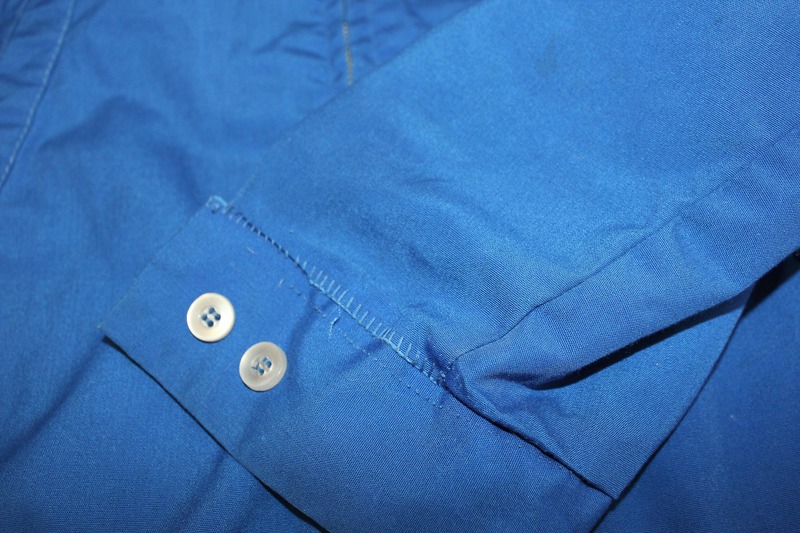 Stitching has come undone where the sleeve fabric folds over and meets the cuff on left side. 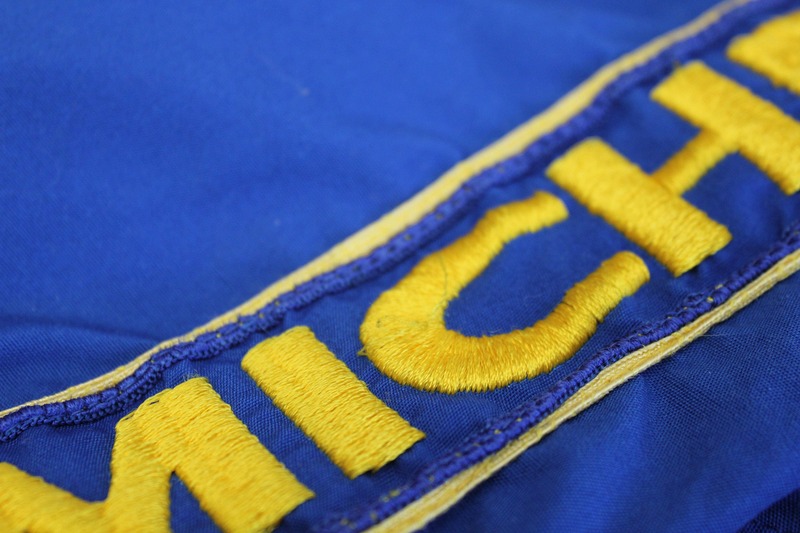 There are some minor snags in the embroidered Michelin patch on the sleeve.